Synopsis: After the release of the popular video game Halo: Reach, a group of newly found friends find themselves submitting to a new, rising threat that soon infects the Halo community. 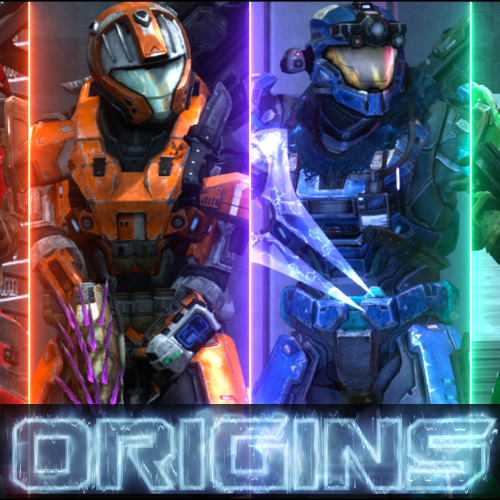 Note: Most of the roles here so far are for the 4 prelude character shorts that will be produced before ORIGINS starts production. Roles will be updates regularly and updates will be posted as to when each character short releases and when ORIGINS begins production. Alright kid, I'm gonna tell it to ya bluntly, *nobody* wants you here. Better luck next time. Player Sam is a gamer who's trying to play the game how it's supposed to be played until someone ruins the experience and fun for them. This character is an extra, but their voice should sound like a young gamer. I *am* hiding. The zombie won't find me over here, unless *you* give me away! (Annoyed) You got me killed! Player Joe is a gamer who's trying to play the game how it's supposed to be played until someone ruins the experience and fun for them. (Offended then angry) Excuse me? *You're* the little boy trying to piss me off! 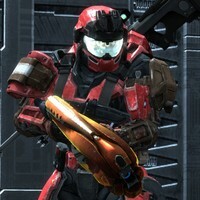 (Angry; raging like a gamer) What the hell?! He didn't kill her because she was a girl! Player Alex is a gamer who's trying to play the game how it's supposed to be played until someone ruins the experience and fun for them. (Confused; slightly annoyed) Dude, what are you doing here?! (Worried and annoyed; but trying to stay silent) By getting me killed?! We're the only ones left! (Raging) God DAMMIT! That's it, I'm leaving too. The Party Leader is the host of a game, and is tricked into giving control to someone who sets the game up as something the Party Leader didn't agree with, then gets removed from the game. I'll promote you then you promote me back so we can finally start this game night. (Annoyed) Dude! You were supposed to promote me back! It's *my* game night! 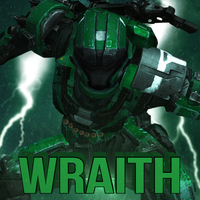 Although Wraith is technically a teenager, he sounds like a young adult . His voice is deeper than most, and talks maturely with most others. He is impatient, rash, and sometimes pessimistic due to his troubled past of “losing” his friends. He doesn't play well in a group, but reluctantly teams up with others to fight for a common goal. He has a soft spot for those that remind him of his older friends and his past. I was...abandoned. My friends left me to go join those ninja freaks...and the worst part is...I wanted to join them. While she is considered to be the joking and exciting one for people that know her, and obnoxious to those that don't, she's also caring, but can get carried away by sometimes being absent-minded. She has this energy that sparks fun and adventure, and can keep the crowd alive. 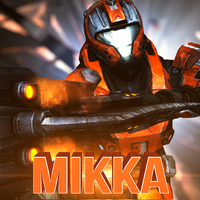 Hi everyone, I'm Mikka! Don't mind all the numbers next to my name, it's to prove that I can count to ten without using my fingers. Come on boys! It's time to rustle their jimmies! 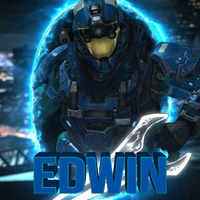 Edwin's voice sounds like a young teenager (aged 14-16), the awkward guy in the room, stuttering as he talks sometimes. He is friendly and trustful to most but when he's in contact with women he can be shy, ridiculous, and even gullible. Hmm...I wonder if it was something I said. OH MY GOD I'm so sorry. I- I didn't mean to. You jus- you just jumped down and I didn't see you. This character is an extra, but their voice should sound like a young gamer who's quick to rage, and have a competitive attitude at all times. An annoyed Halo gamer that only plays the game to win, and resents anyone else having fun, but enjoys when others are in distress. This character is an extra, but their voice should sound like a fairly young gamer girl who sounds like she's into someone or in distress and needs a man's assistance to force them into helping her. A girl gamer who plays Halo always surrounded by a bunch of "thirsty" guys, but given the opportunity, takes advantage of gullible ones to use them for her goals.